Our party fights for the rights of all the people be it Muslims, Hindus, Sikhs, Christians or Buddhists and we will continue to fight. Even if Modi tries his best, he will not be able to break India. I want to tell him from here today that you will break, but India will not. 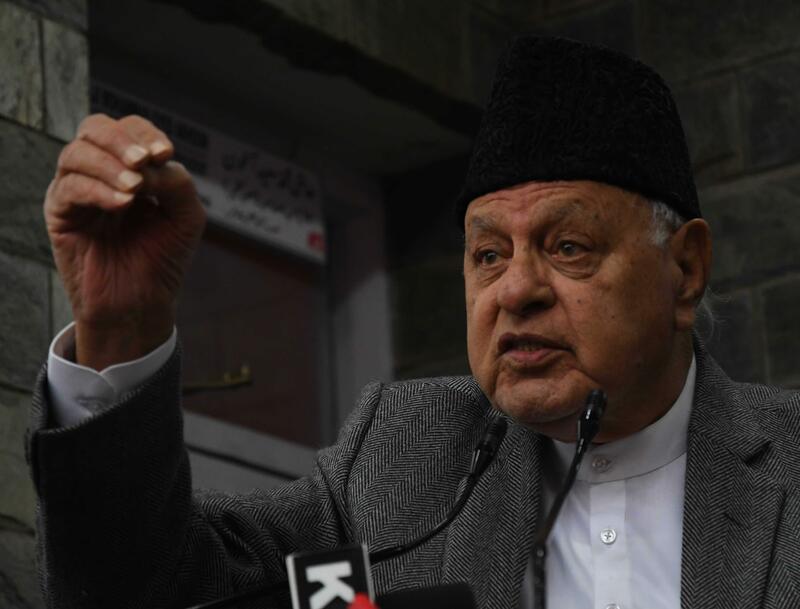 You accuse the Abdullahs of trying to break India, if we wanted to break India, there would have been no India then,” he said. “Which leader fought the British when General Dyer killed people at Jalianwala Bagh? He was Saifuddin Kitchloo a Kashmiri from Baramulla. And hundreds of those killed there were from Kashmir. Did you ever remember them or take Kitchloo’s name? You only remember those who killed Mahatma Gandhi. (Nathuram) Ghodse’s temple is built in India and you said nothing. Are Muslims not a part of India? We are not dividing the country, but you are, on religious lines. You and Amit Shah are destroying India. So, desist from accusing us,” he said.